When it comes to travelling, it is needless to say that there is no better time or season for it. Every time is a perfect time to leave all of life’s stresses behind and take the next flight out to our dream destination. Hence, it makes sense to do away with the stresses of vacation planning and to make it as simple as possible to travel – even for last minute trips. Travel stress is a common phenomenon but it should not stop people from taking time off their allotted annual leave to see beyond the green side of their own grass. In fact, if anything it should be something which everyone should resolve to start doing more this year. After all, one of the greatest gifts of life is to travel hassle free. Well, how about an app that kills two bird with one stone? Every frequent traveller would understand the pain of having multiple tabs open at once as they have to navigate between a myriad of sites just to settle one vacation alone. Now there’s an app to give travel junkies less of a headache as we get to book out flight and accommodation in one single portal – and under sixty seconds to boot. 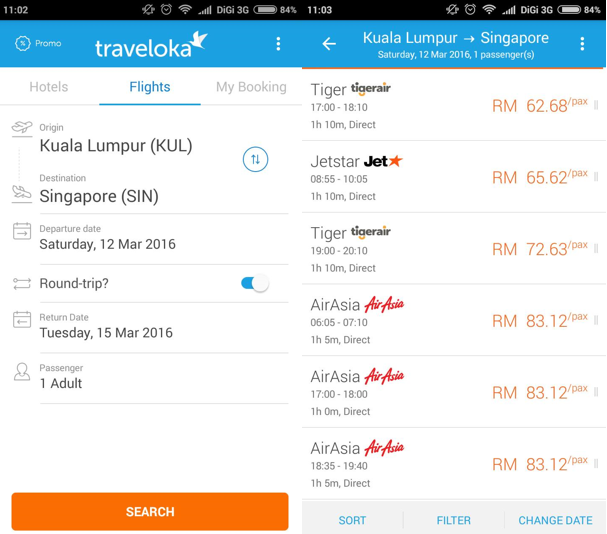 Meet Traveloka, the app which houses hotels and flights under one simple app. It gives us plenty of options to choose from and has the benefit of a fuss-free interface. After all, with a tagline, “Travel, made simple”, it is their aim to provide an experience which is as seamless as possible. Here are 5 simple steps to sail through your travel booking experience and the first thing to do in order to get a quick, honest experience with travel booking is to download the Traveloka app via app store or Google app store. Next, you are sixty seconds away from completing your next travel arrangement. 1. Search your flight on the app. There are a plethora of flight service providers on the app, be it low cost airlines or premium flights, and the choice lies in the hands of the traveller, and what they wish to have for their trip. 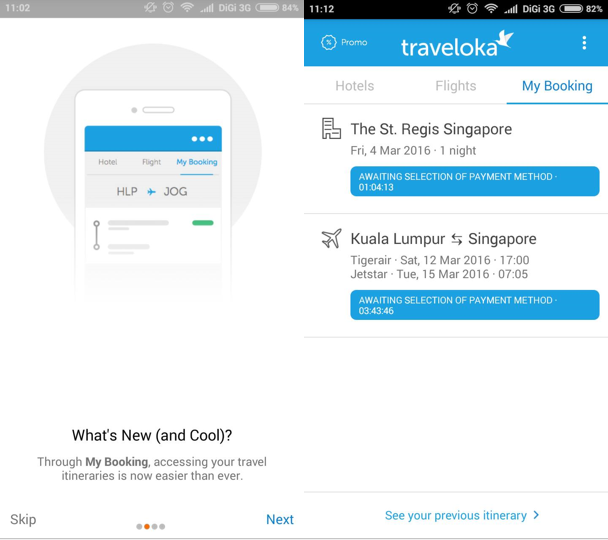 Traveloka is the largest flight and hotel booking platform in Indonesia, and they also offer competitive prices both in Singapore and Malaysia. Filling up your personal details is something most of us can do even in our sleep. As such, it’s nice to see how there are under 10 steps to fill in with the personal details section of the app, inclusive of name, birth date and passport details. 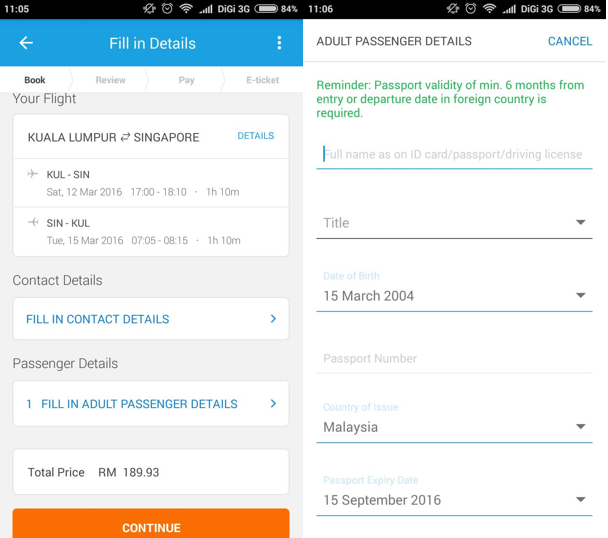 For frequent travellers, this is a piece of cake but even if it’s your first time using the app, it is a straight forward process. An added benefit with Traveloka is that they secretly reward past travellers as it auto saves all your past travel partners’ details, hence you can do away with typing the details all over again. With TravelokaQuick, you get to save your credit card details in advance so payment can be made in less than one minute. We all live in a generation whereby we want things to be quick and easy, and this is the same with our payment plans. Hence, it’s good to know that with the app, there are no underlying prices that we do not know about, as what you see is what you pay. 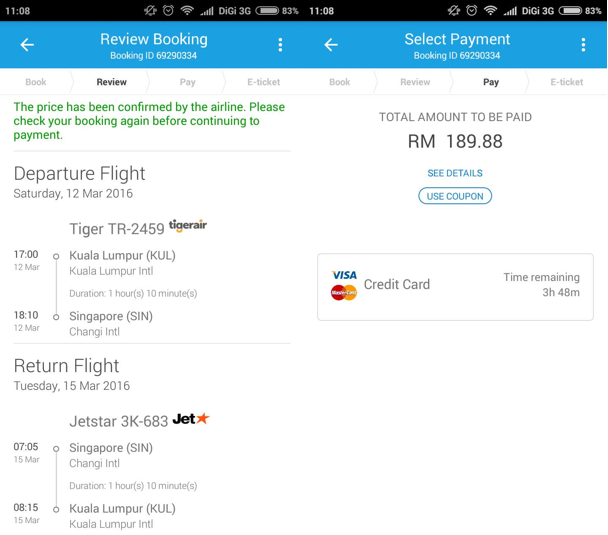 Where there are credit card charges with other flight provider platforms, there aren’t any with Traveloka, so you get to save that extra bit more on your vacation. 4. Repeat the seamless process with hotel booking. The same process can be repeated with the hotel booking, where all you have to do is to pick your hotel of choice, and fill in your personal details prior to making the payment. 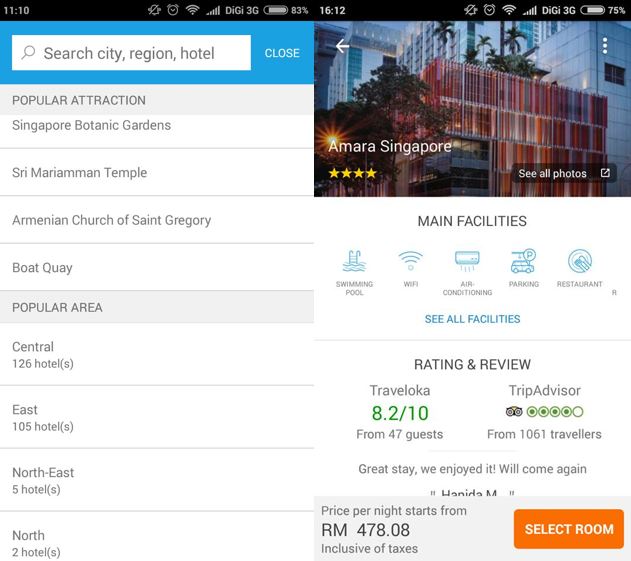 Whether you prefer living in a certain area, or accessibility is on the top of your travel plans, the app has got you covered with their endless search option. 5. Review your travel plans. For anxious travellers, they would be glad to know that the app is literally just as important as their passport, and in fact, besides that, this is the only other tool they would need for their trip. With the ‘My Booking’ tab, all necessary details are housed in one single section and it makes travelling all the more easier. After all, it stores all your flight e-ticket and hotel vouchers and both can be shown at the airport and hotel check-ins so you can have a seamless and paperless transaction. For those who choose to travel, it is wiser to go with the option that is as easy as can be. There are many choices available and ways to make our travel experience better, but don’t we all want something that we can go back to time after time with each vacation and not be disappointed? We live in a day and age where we have the privilege of being informed. Back then, it may not be possible to book our hotel and flight with such precision and ease, but now that we are able to do so, it is the smart route to take. After all, don’t we all just want to get the travel planning out of the way as quickly as possible, so we could head on and enjoy that well deserved break? Perhaps now we can – in sixty seconds or less too.